Stunning Positano plan that has attention to detail everywhere! This unique home offers an interior courtyard. Entertain your family and friends in the spacious kitchen with upgraded cabinets, gas cook-top and beautiful tile back splash. You will love spending time in the backyard. The home backs up to a private walking trail and lush green landscaping. 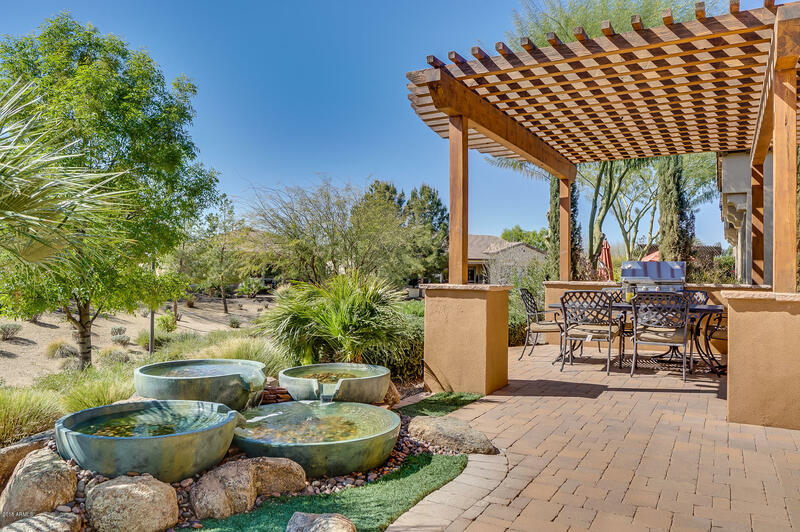 Cozy up by the gas fire pit or enjoy the soothing sounds of the water feature. Turf grass allows you to enjoy the low maintenance lifestyle you deserve. Encanterra offers world class amenities at your fingertips. Come see this home today!